Pet hospice care isn’t something we like to think about but end-of-life decisions are something that all pet parents eventually face. 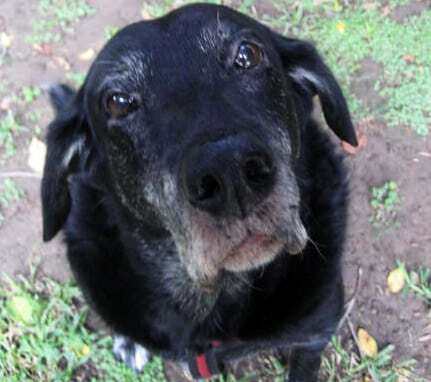 Today it’s getting a little easier thanks to the growing field of veterinary hospice care. This Saturday’s Tripawd Talk Radio Guest, Dr. Katherine Goldberg, DVM, of Whole Animal Veterinary Geriatrics & Hospice Services, is one veterinarian who’s helping pet parents through this emotional time by providing services such as in-home geriatric care, holistic approaches for managing terminal illness and at-home euthanasia. Join us this Saturday at 6pm Eastern to hear how Dr. Goldberg approaches end-of-life care for her clients. Read below for a beautiful guest blog post by Dr. Goldberg, about how she began providing veterinary hospice care for her clients. Read more about Saturday’s broadcast here in the Tripawds Discussion Forums. Meanwhile, we hope you’ll enjoy this guest blog post about veterinary hospice care basics, written by Dr. Goldberg. When my dog Griffy was diagnosed with cancer, I was in unfamiliar territory. Trained to help other people navigate this situation, as a veterinarian I was suddenly on the other side of the exam table. I felt an initial comfort, followed by a surprising unease, at the fact that I was surrounded by some of the finest veterinary specialists in the country. Surely, they would help me figure out what to do. I had a background in veterinary emergency and critical care. Surely, that would help me make good decisions. As it turned out, my veterinary specialist community offered the “best” treatment options, but did not really help me navigate them. As for my intensive care experience, it helped me know what I didn’t want for Griffy, but fell short in the “now what?” arena, not to mention that my clinical judgment was significantly impaired by the fact that my patient slept in my bedroom. My confusion, as well as my love for this dog, was overwhelming. I ended up electing some treatment (a surgery to remove his mass that gave us significantly more time together) and declining some (post-operative radiation therapy). What I found myself doing a lot of, was thinking about his life, and planning his death – which surprised me. This dog – who had come into my life one week prior to starting vet school, walked with me at vet school graduation, traveled across the country for my internship, and back again for me to continue the professional path I’d dreamed of since childhood – was the most consistent daily presence in my life. The loss of him would be the end of an era and I knew it. In the end, Griffy’s last moments were spent walking through deep snow, with flowers around his neck, in a field where we walked every day together in vet school. His life ended in a beautiful and significant spot, surrounded by people who loved him. Dear friends wrapped him in a blanket and pulled him back to the car on a toboggan. As I walked beside his still-warm body, I thought to myself, “This is so unfair. It’s unfair that I can have this experience and most people can’t. My friends are vets and we have access to drugs and we can create this meaningful moment, but that’s something everyone should have.” I realize it’s a bit strange that I had this thought in a profoundly personal moment with my dog, but I did. It wouldn’t come to fruition for almost a year, but in that moment, Whole Animal was born. While hospice care for animals is in the process of being defined in the veterinary profession, dealing with the end of an animal’s life is very familiar. Most people have experienced the loss of a pet, and have had to make difficult decisions on an animal’s behalf prior to and leading up to death – whether via euthanasia or unassisted death. Because euthanasia is deeply integrated into end of life care for animals, veterinary hospice care is often distinct from its human counterpart. Similarities exist in the overall philosophy of hospice, that is: respect for the family unit as “patient” in addition to the dying individual, acceptance that additional medical interventions are unlikely to change the outcome of a disease, desire to alleviate pain and emotional suffering, and focus to comfort and quality of life, rather than aggressive treatment to extend it. Hospice for animals is not a place, it is a philosophy. this Saturday on Tripawd Talk Radio!